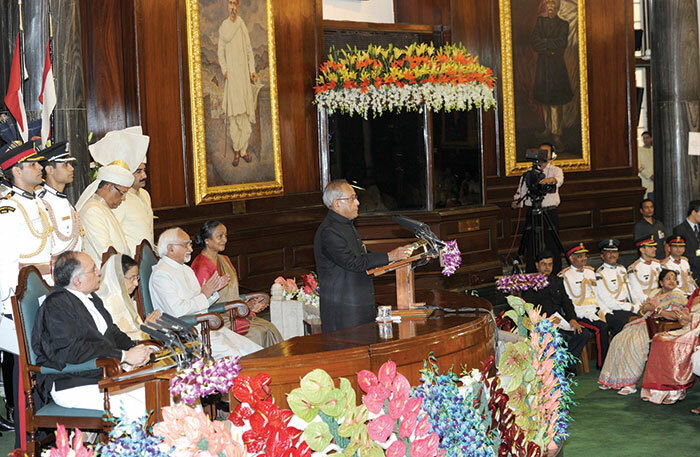 President Pranab Mukherjee, who demits office in July, has been known as a man “of the constitution”, a believer in it, and was called to be its custodian during the last five years. His familiarity with the country’s constitution, as also the constitution of the Congress, was legendary and ‘Pranab da’ was the man to go to if any clarity was required on a provision or a grey area. Since 1950, when India became a republic, various presidents have described themselves differently. R Venkataraman, who worked with four prime ministers, called himself a “copybook president”, an emergency light that came on only in times of crisis. KR Narayanan, the first dalit president, saw himself as a “working president”. India’s missile man, APJ Abdul Kalam, who was rashtrapati from 2002 to 2007, was viewed as a “people’s president”; he was sometimes also called the “children’s president”, for young people loved him, and he opened the doors of the Rashtrapati Bhavan to them. Pratibha Patil, the first woman president (2007-12), said recently in Pune, where she now lives, that she had seen her role as that of a “friend and philosopher in normal times and a guide and protector in times of crisis”. Focussing on how those who held the president’s post reacted at critical moments, Fakhruddin Ali Ahmed was seen as a “rubber stamp” president, for he had signed on the dotted line when Indira Gandhi promulgated the internal emergency in June 1975, imposing censorship and abridging freedoms, and he did not question why she went ahead with the decision before the union cabinet had cleared it. On the other hand, Giani Zail Singh was a proactive president who had toyed with the idea of dismissing the duly elected government of Rajiv Gandhi, with whom he had developed differences. (At the time, Rajiv had enjoyed an unprecedented majority of 415 MPs in the Lok Sabha, not even clocked by his grandfather Jawaharlal Nehru in his heyday.) Zail Singh, who was also viewed as a maverick, had reportedly sounded out senior Congress leaders VC Shukla and VP Singh in 1987, indicating to them that he would swear Singh in as prime minister provided they could get a sizeable group to break away from the Congress. Singh had turned this offer down; it was later, after the 1989 elections, that Singh went on to replace Rajiv as prime minister. The most fascinating president-PM relationship, however, had existed between the country’s first president, Dr Rajendra Prasad, and prime minister Jawaharlal Nehru. Both differed on many issues, coming as they did from different worldviews – Prasad, more conservative and steeped in Indian traditions, and Nehru more modern and liberal, influenced by the ideas of the West. Prasad expressed his views on a host of subjects to Nehru through letters when he had a different take on the decisions of the government, which makes for interesting reading, but never did the contents of their exchanges or conversations leak out to the media – except perhaps once. Nehru had favoured C Rajagopalachari, India’s first governor-general, to become the country’s first president and was outwitted by Sardar Patel, who backed Prasad. In 1951, when Prasad decided to inaugurate the restored Somnath temple, which he saw as a symbol of people’s culture and faith, Nehru saw the move as a challenge to the country’s secular fabric and was upset with Prasad. It is also well known that it was Prasad’s reservations about the Hindu Code Bill (which gave women greater rights in marriage, property, divorce and maintenance) that delayed the bill, which finally came in the shape of many truncated legislations in 1955-56. But both Prasad and Nehru, towering figures of the freedom movement, handled their differences with sophistication, and with respect for the positions each held. It was only after the 1975-77 emergency, when the Janata Party brought a constitutional amendment, that the president was empowered to return to the cabinet a decision for reconsideration if he wanted a rethink. But if the cabinet sent it back to him again, he had to append his/her approval. The president, however, has always had the elbow room within the system to nudge along decisions without coming into the picture directly or openly. There was an instance of this – and this is not so well known – when president KR Narayanan moved in step with then PM IK Gujral (1997), to help the PM ward off coalitional pressures from within his government. 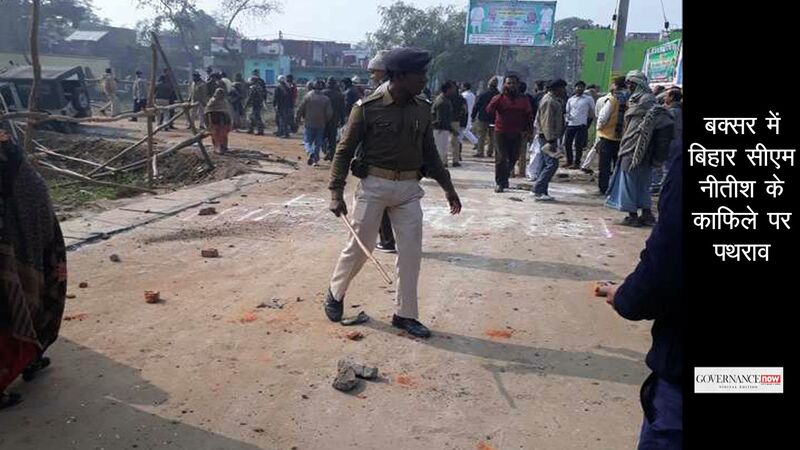 The BJP’s Kalyan Singh was in power in Lucknow, there had been unruly scenes in the state assembly, SP leader Mulayam Singh Yadav, then a powerful member of the United Front government at the centre, had been pressuring the PM to dismiss the UP government. Under pressure, Gujral finally agreed and recommended dismissal. It was sent for approval to the president. But Narayanan promptly returned it to the union cabinet for reconsideration. This naturally strengthened Gujral’s hand. What followed was a 17-hour meeting, which went on all night, to review its earlier decision in the light of the president’s reservations. The council of ministers decided against resending the matter back to the president, respecting his wisdom in the matter. There were also instances during the Venkataraman presidency when the subject of a national government came up for discussion with the president, but these moves did not ever come to fruition. What the president can do – many rashtrapatis have resorted to this ploy – is to delay giving their approval, as happened with mercy petitions, including controversial one likes that of Afzal Guru, the Mumbai 26/11 convict Ajmal Kasab, and Bombay blasts convict Yakub Menon, which was finally rejected by Pranab Mukherjee soon after he took over as president. They had been lying with Pratibha Patil for years, though she also commuted as many as 35 sentences to life imprisonment. Mukherjee, on the other hand – and this surprised many, and excited a debate on the pros and cons of capital punishment at the time – has been a president who rejected the largest number of mercy petitions during his term. Venkataraman also rejected as many as 33 mercy petitions – the trend in the earlier years was in the other direction – but Mukherjee had given the go-ahead in 58 cases for hanging convicts in his first four years. Here too, it was absolutely clear that he would abide by the advice of the council of ministers. The Mukherjee presidency has been low key, non-confrontationist, and non-controversial. And yet insiders tell you that he used on many an occasion to speak to prime minister Modi or one or another of his ministers to question, alert or express his opinion, which was different from that of the government’s, but this was never made public. Time – or maybe Mukherjee himself, in the years to come – may throw light on some of the behind-the-scenes exchanges that went on between him and Modi. His strong views on the promulgation of ordinances without reference to parliament was not such a secret. On several occasions, Mukherjee indicated his unhappiness with the government resorting to ordinances as a way of circumventing parliament. He felt that, in the constitutional frame of things, ordinances should be resorted only in “compelling circumstances”, when the legislature was not in session, and then be passed by parliament as soon as it met. It lapsed if not passed within six weeks of parliament meeting. 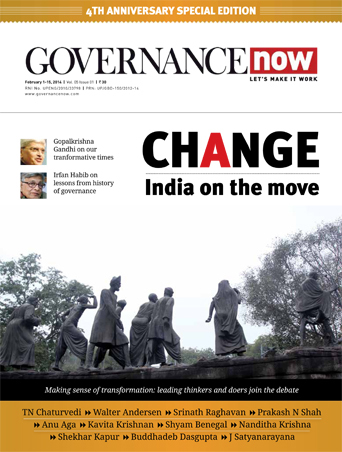 In the Modi government’s first eight months in power, the president signed as many as nine ordinances brought by it. The Enemy Property Promulgation and Validation Ordinance 2016 was brought before him five times, and though he cleared it every time because of its importance, he wrote to the government finally that, while he was approving it, he hoped it would not happen again and that it should not be treated as a precedent. It was more in the last year and a half that Mukherjee spoke openly against the growing climate of intolerance in the country, in what was an obvious reference to cow vigilantism and beef politics promoted by the ruling combine. In a strong assertion of India’s plural ethos, he said: “There should be no room in India for the intolerant Indian.” He also spoke about the need of universities to be allowed to function autonomously, particularly after the happenings at JNU and Ramjas College in Delhi, and the central university in Hyderabad following Rohith Vemula’s tragic suicide. Mukherjee – he was the chancellor of many a university – was clear that “there must be space for legitimate criticism and dissent”. And that “universities should be places for debate, not for violence”. On more occasions than one, he expressed his concern about parliament becoming increasingly dysfunctional. Some months ago, in sheer exasperation, when parliament was repeatedly stalled in the winter of 2016, he told the MPs, “For God’s sake, do your work.” They could choose other places for demonstrating, not the floor of the house, he said. And though he made several of these statements in defence of parliamentary institutions and pluralistic values, which have been the hallmark of Indian democracy, during his tenure, and by doing so raised questions about the actions of the Modi government and also sent a message to the ruling dispensation, he did not confront the government. Though he had been the tallest leader of the Congress when he became president, a lynchpin of the Manmohan Singh government, with immense experience of politics, administration and parliament, and to that extent, he had the stature to take a stronger position on some issues, he never got into a face-off with the Modi government, even though it represented a party different from his own. Many expected him to question the way the centre resorted to Article 356 to dismiss elected governments in Arunachal Pradesh and Uttarakhand. These were restored by judicial verdict, with the high court that heard the Uttarakhand matter remarking that “even the president can go wrong”. In the end, even prime minister Modi praised him for “re-energising” the Rashtrapati Bhavan, adding to the president’s estate a new ceremonial hall and a museum. At the end of the day, Pranab Mukherjee stuck to the copybook approach of going completely by the advice of the council of ministers on decisions. To that extent, his presidency was unremarkable. But then that itself was possibly the remarkable aspect of the presidential tenure of someone as politically astute and experienced as Mukherjee, who knew the ins and outs of the constitutional framework and the cracks which might have allowed him greater elbow room to play a more active role, while walking in step with the prime minister. After all, for all the rhetoric about not being able to spare him in government, Congress president Sonia Gandhi had reservations about making him prime minister in 2004 or at any other point, or the president in 2007 – he outmanouevred her in 2012 – for fear of being outsmarted, given her experience with PV Narasimha Rao. The Left parties which propped up the UPA government had favoured him for the presidency in 2007, but Sonia, who wanted Shivraj Patil for the job, ruled it out, and at the last moment, the UPA installed Pratibha Patil as a compromise choice. On balance, looking at Mukherjee’s political career, rather than as a rashtrapati, history may remember him more as a tall leader of the Congress who steered his party with a deft hand, and brought value to the governance of the day in the many positions he held in the Congress ministries, working as finance minister under Indira Gandhi, who first spotted his talent. And then as minister of defence, finance, and external affairs in the ten years of UPA rule. Following Indira Gandhi’s assasination, he had launched his own party for a brief spell, following differences with Rajiv Gandhi. That he, as a senior-most member of the party, had seemingly wanted to take over after Indira Gandhi’s assasination in 1984 was always held against him. And yet he bounced back to such an extent – he rejoined the Congress – that during UPA 1 and UPA 2, the Congress called on him constantly to troubleshoot, and he headed the largest number of groups of ministers on policy issues, with prime minister Manmohan Singh relying on him heavily. In fact, there were reports that Singh used to continue to refer to him as ‘Sir’ in private (the way he used to address him before 2004), even after he became PM. Such was Singh’s reliance on him, particularly in those early years as PM, that he had turned to him even on a seemingly small, though delicate, decision: where Sonia Gandhi should be seated in the Lok Sabha, after she had declined prime ministership in 2004, and given her pre-eminent position in the UPA! Many in the country are left with a niggling sense of regret of what might have been had he become prime minister, a position he had the ability to occupy, and the mark he might have left on Indian affairs as a result. 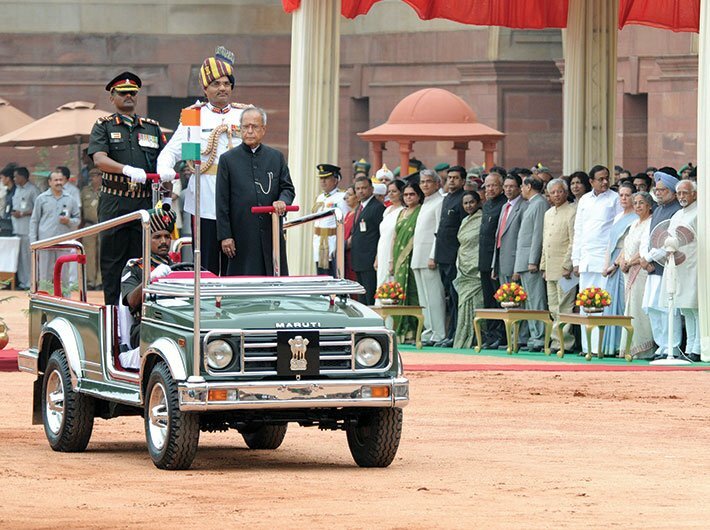 Does the coming July 25, when a new incumbent enters the Rashtrapati Bhavan, entail an end for Mukherjee’s political career? Would he confine himself to looking back, ruminating on the achievements and failures of an illustrious career and pen his memoirs for future generations? However, given the unpredictable nature of Indian politics, no political leader can be written off, no matter how old or retired he may be. Chowdhury is a senior journalist based in Delhi.